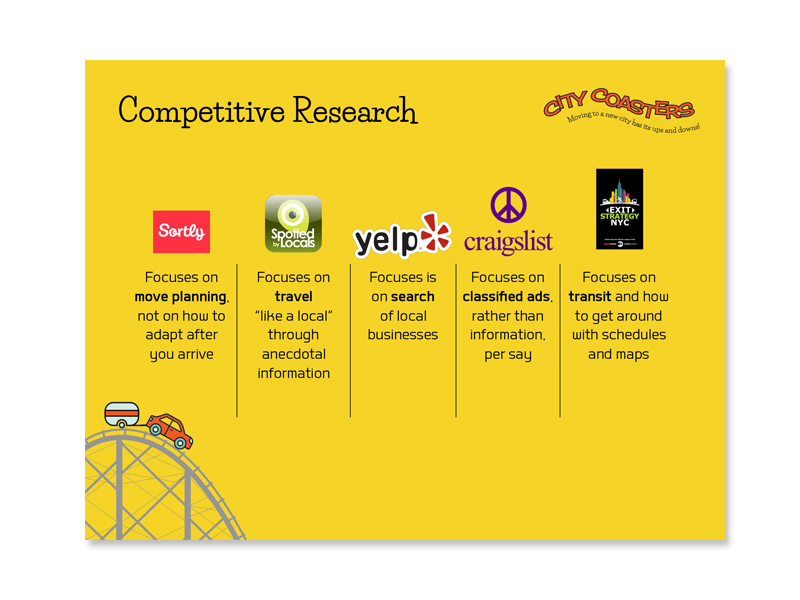 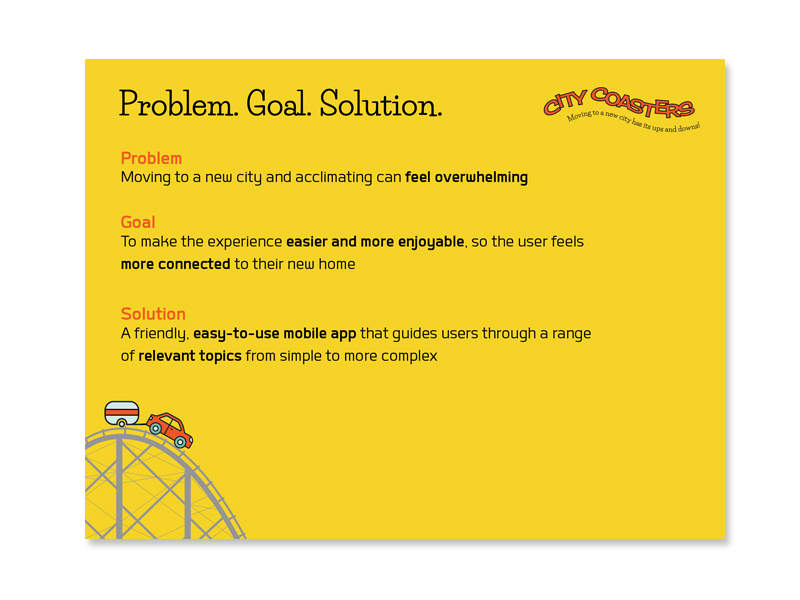 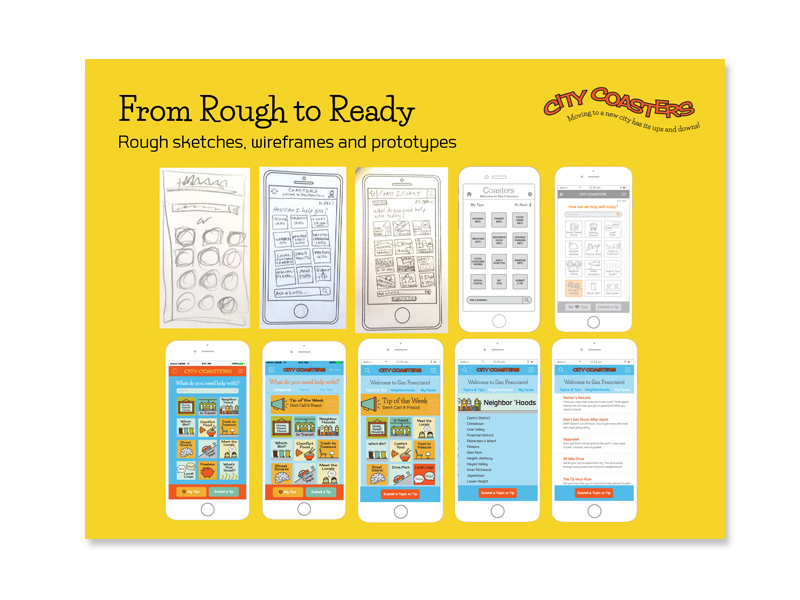 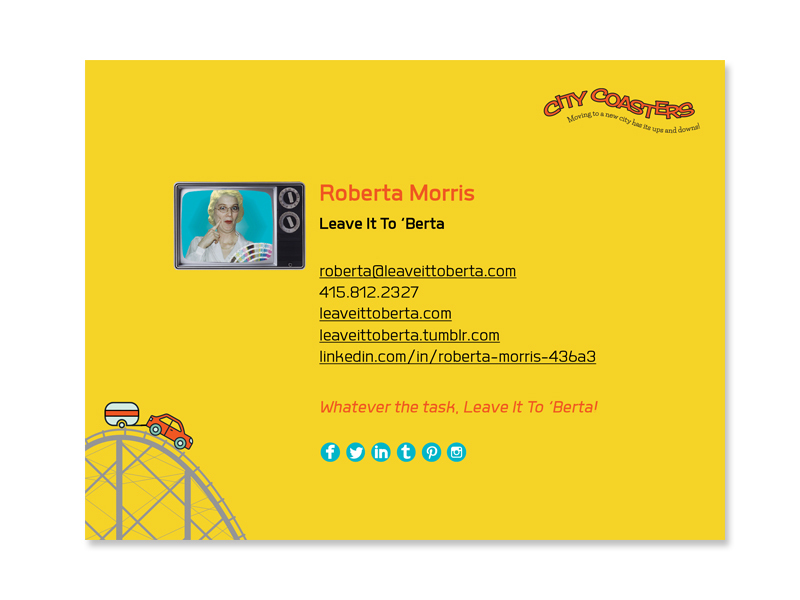 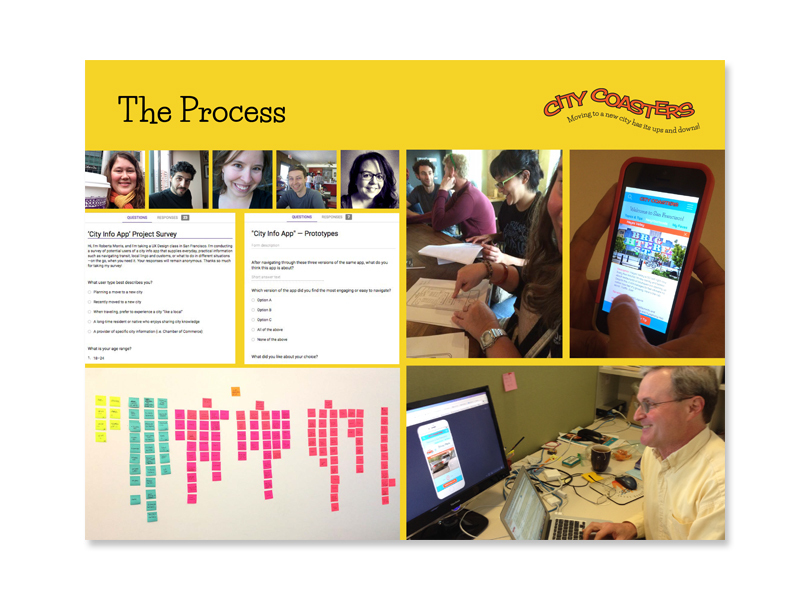 This pitch deck for ’Berta’s City Coasters UX class project project shows her process of: conceptualization, research, persona creation, wireframes, mood boards, and the final prototype. 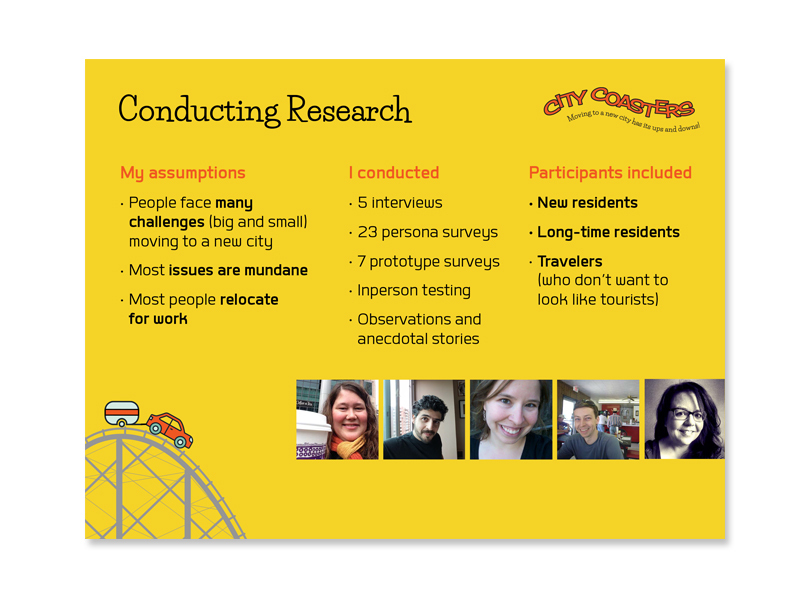 ’Berta presented this project to her class and special guests from the field. 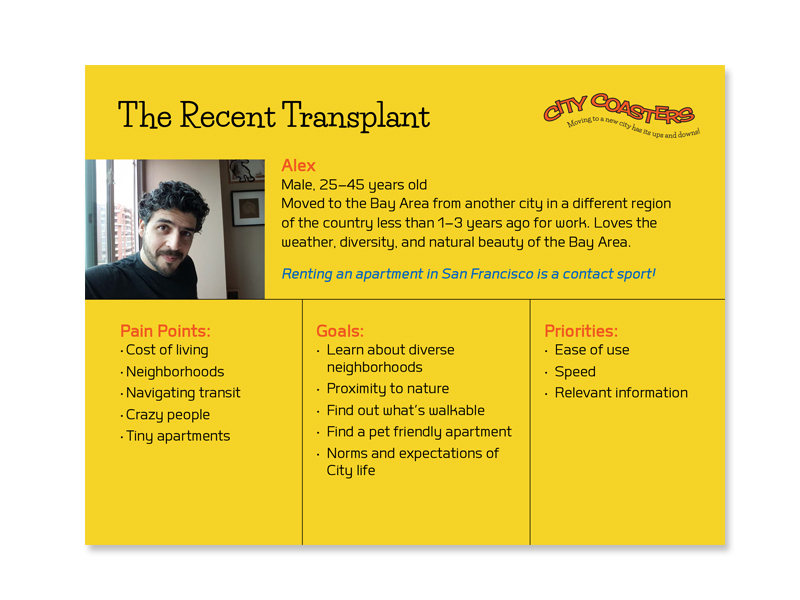 This is the type of presentation that could be flushed out with fincials and potentially presented to potential funders. 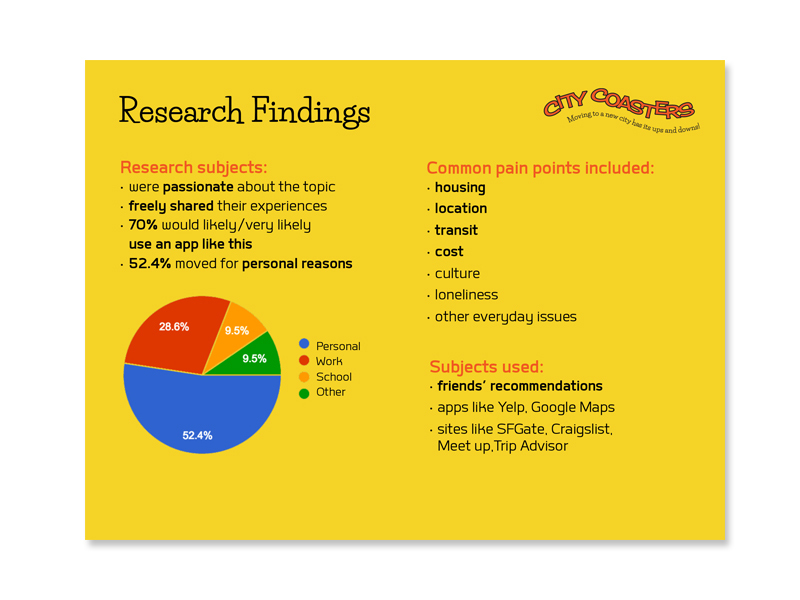 See a PDF of the full presentation here. 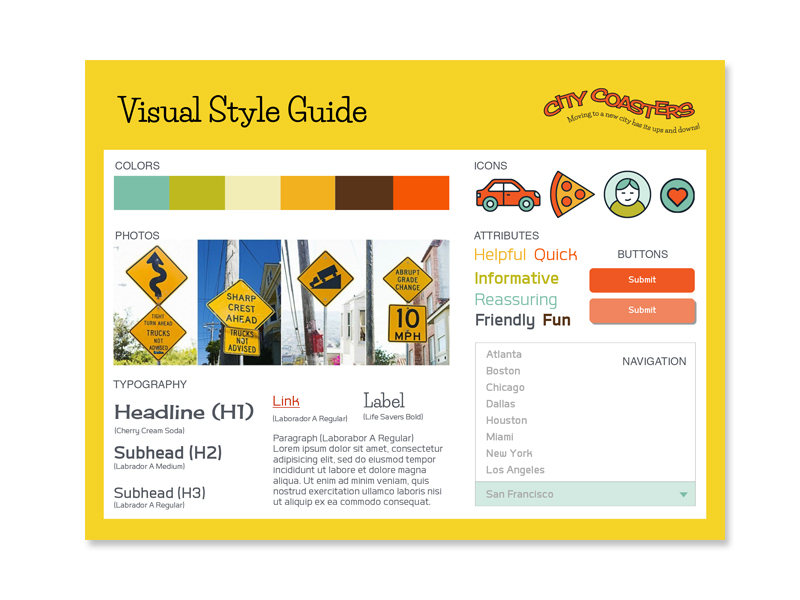 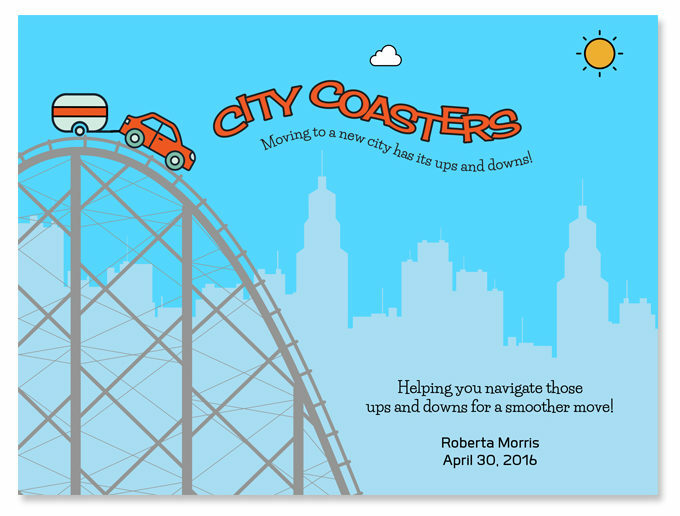 Check out the City Coasters app class project here.